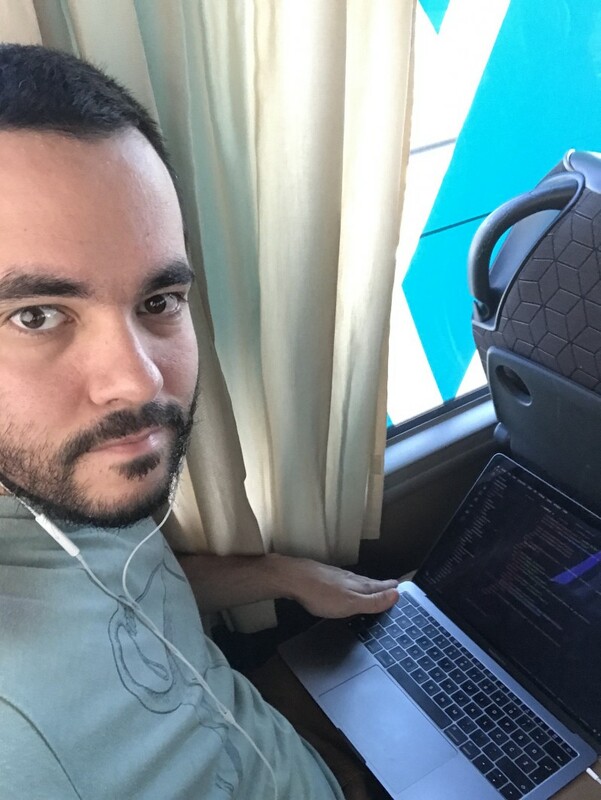 For a long time I wanted to work remotely, read a lot of articles on this topic, heard a lot of other devs doing it, but never tried for my self. By working remotely I don’t mean working for week or two, I mean always. 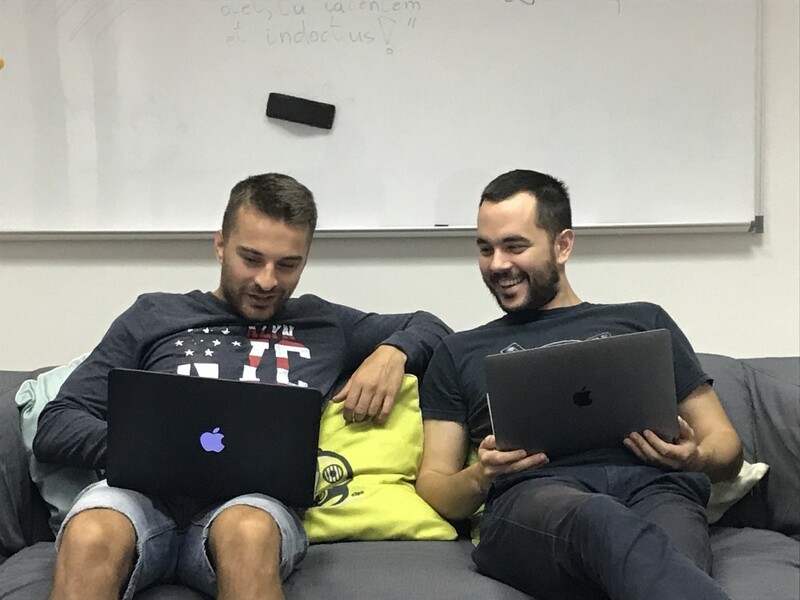 For me as web developer remote was always on my mind, but there aren’t many companies in Croatia that offer that kind of work. The longest period of remote work I ever did was two months ago, where I worked for one month. That was a great test to see if I’m ready for that kind of lifestyle. And my answer is Yes, I am ready. With ability to work remote, new doors are opening up for me. Not only that I can work from home, I can travel and work from anywhere in the world, of corse as long as I am focused and productive. But that’s the thing I’m always more productive when I’m at home. As a student I’ve got interested in making websites. First started slicing some psd-s, then wanted to learn how to make a web app. After some time I realized I lack some discipline so I’ve made my self a schedule and pretended I have an office at my place and live at my girlfriends. When I first started learning to code, I always felt sense of urgency and then expected when I find my first job as web developer that is going to be the same. That everyone will be better then me and I need to learn all day to keep up with them. Very soon I found out it’s not quite like that. Majority of people like to live their life easygoing, make some work done now and then, talk with colleagues about non-work related stuff. I didn’t mean to sound rude saying I am perfect, I just like to get stuff done! At home I had more strict regime than at work and that environment takes you to become that easygoing. I didn’t want to be that type of guy. I wanted to be type of guy that I was in “my office”. Easygoing but strict about time management. Of course there are also positive sides of working at the office, like, working on your communication skills, having patiences, helping colleagues with some task, having lunch together, getting to know interesting people, team building. They were some good time that I will miss. As being self employed you decide on how to spend your time and money, which conference you want to attend and can you afford it. 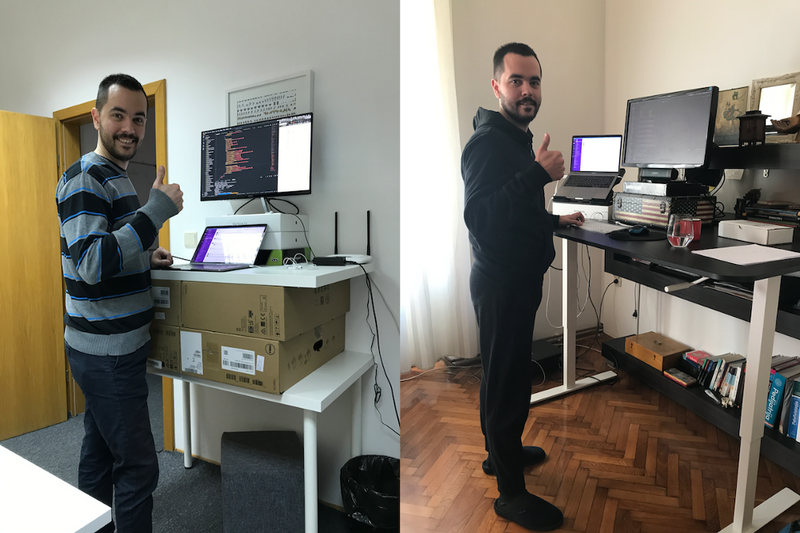 You can setup your own office how you like not how you get and if you want to have standup desk, you can have it. You don’t have to go to the boss and explain why you want it and ask permission. You have your own laptop, you don’t have to setup every time you change a company. Of course being self employed brings some other task. Managing your own company, faxes, bookkeeping, but you get the hang of it at some point. Work from anywhere, be where you want to be. I am from Zadar, small town on the cost of Croatia, and moved to Zagreb because of collage and lack of work in Zadar. After finishing collage I wanted to go back but couldn’t find good opportunity. Now, I can go where ever when ever as long as I am productive and get things done. Another perk I like is you don’t have to go to work, spend one hour or more on traveling with train, bus or looking for parking. Especially around very hot or very cold weather. I began my career working from home, then switched to in-house office environment and now finally getting back to remote work again. Let me leave you with some final words and say. Do what you love, work where you feel most productive. Remote is not for everyone but we could say the same for the office.